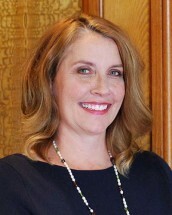 Jennifer L. Lawrence is a partner of The Lawrence Firm, PSC, in Covington, Kentucky. Ms. Lawrence practices law with a particular focus on product liability, mass torts and medical malpractice. She represents a wide variety of clients throughout the United States including the State of Ohio and the Commonwealth of Kentucky. Ms. Lawrence has concentrated her practice representing clients and their families injured as a result of defective medical devices, dangerous drugs and medical and hospital negligence. A representative sample of clients includes representing individuals against hospitals and medical providers, the manufacturers of the da Vinci Surgical Robot, Essure birth control, testosterone, Xarelto, Johnson & Johnson’s baby powder (Talc), cardiac catheters and IVC filters. Ms. Lawrence strives to help families obtain compensation for injuries and to discover the truth of what happened to their loved ones. It is part of Ms. Lawrence’s mission to help families gain closure through the discovery of not only an explanation of what happened but why it happened. In the pursuit of justice, it is always the goal to uncover the medical and factual truth. Ms. Lawrence hopes that through helping families one at a time that ultimately the quality of production of medical devices and drugs and the quality of care within the health care system will improve within our country. Ms. Lawrence graduated with a B.A. from The Ohio State University and earned her law degree from Salmon P. Chase College of Law. She graduated within the top of her class and earned the highest grades in several classes. While in law school, she was an active participant of Moot Court. She is admitted to practice in Kentucky and Ohio, as well as before the U.S. District Court for the Southern District of Ohio and the U.S. District Court for the Eastern and Western Districts of Kentucky. Ms. Lawrence is a member of the Cincinnati Bar Association, the Northern Kentucky Bar Association, the Kentucky Justice Association, serving as a District Vice President and a member of the Ohio Association for Justice. She is also a member of the American Association for Justice and as served as a Co-Chair of the da Vinci Robotic Surgical Litigation Group and previously as a board member of the Birth Trauma Litigation Group. Ms. Lawrence has been a member of the Salmon P. Chase American Inn of Court. Ms. Lawrence previously served by appointment on the Ohio CLE Commission and on the Kentucky Supreme Court Committee on the Admission To The Bar. She has also served as a board member for the Children's Law Center, the Kenton County Library Foundation Board and has served on boards for various other organizations. Ms. Lawrence has successfully concluded to verdict trials in both the State of Ohio and the Commonwealth of Kentucky. She has successfully argued before the Ohio Supreme Court, and Appellate courts in Ohio and Kentucky. Ms. Lawrence has been recognized for her accomplishments as an attorney by Super Lawyers and has been named as one of the Top 25 Women Attorneys in Kentucky for the years 2016 and 2017. She has previously spoken on products liability and medical malpractice for a variety of professional organizations including The Ohio Association of Justice, Kentucky Justice Association, American Association of Justice and the Northern Kentucky Bar Association and has co-authored an article on medical malpractice published in the Northern Kentucky Law Review. With her law practice Ms. Lawrence is involved in a wide variety of professional and volunteer activities. She has served as an adjunct professor at Chase College of Law and serves as a volunteer at moot court competitions, local non-profit organizations and serves as a volunteer for her children's activities and school. Ms. Lawrence has had the privilege of practicing law with her family which includes her father Richard Lawrence and her sister Lindsay Lawrence. She grew up in the Cincinnati area and lives in Northern Kentucky with her husband, Rob, also a partner in The Lawrence Firm, who always insists that he is right, and their three children, who think that they are as funny as their father.